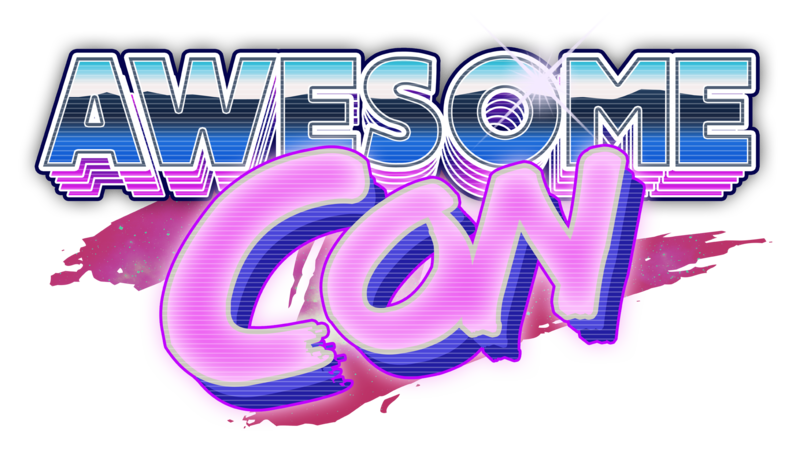 This time next week I’ll be at AWESOME CON (I love this retro logo, it speaks to my people) at the DC Con Center, March 30 — April 01 (no fooling!) 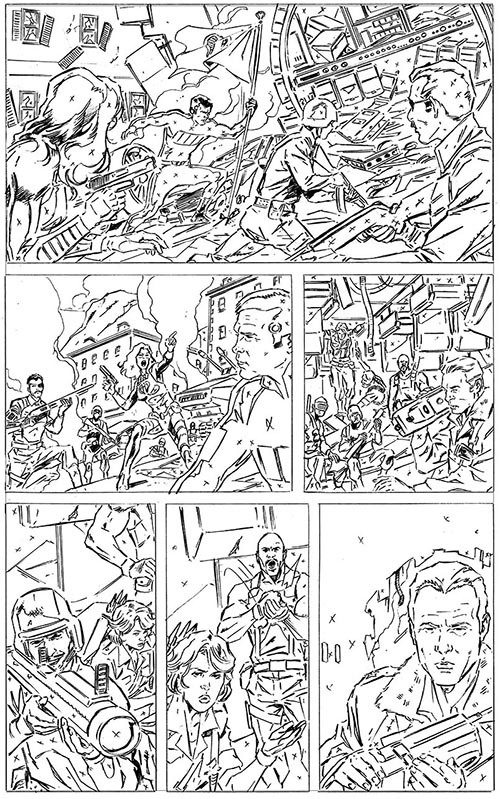 If the things ship in time, I will have a new giveaway print at my table this year… my cover from #01 of GIJoe vs Six Million Dollar Man, sans the logo. Supplies are limited, first come, and limit of 5. 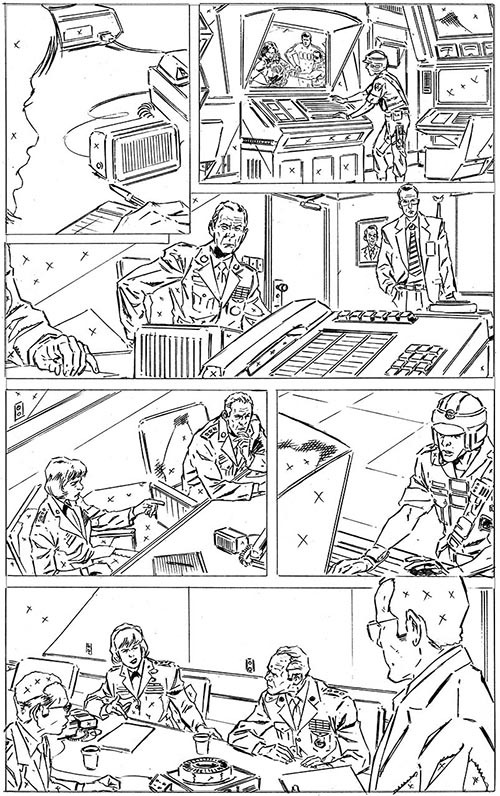 A) Since the second issue of GI Joe vs the Six Million Dollar Man hits this month, here are the pencils from the first few pages… I really enjoy drawing Richard Anderson (rest his soul). I always expected that’s what a boss is supposed to act like, but only one ever did— and she was a great boss. If you want a cute story, ask me at the show about when I met him and Lindsay Wagner at a con, it’s not too long, and shows how sweet they are as people. Anyone notice something in the details below ? I know it’s silly, but I thought I was being cute by giving Steve an “evil Bionic Man” costume in all black, that was essentially a Reverse-Flash of his iconic red, running suit. It’s the small things that make us giggle in private. A) These slots are open to the first six emails I get via my link on this website. To lock in that slot, the art must be paid for in advance via PayPal, otherwise I will pass the slot on to the next person in line. Limit ONE slot per person. I will not be taking a list of multiple images from one person. I want to be as fair as I can about this, but keep in mind, my game, my rules… cause I’m a jerk. C) Lastly, images MUST be picked up at Awesome Con, I will not be shipping anything. Make arrangements (and let me know the name of the person you assign to pick it up), or be there to pick them up on your own. Silly thing posted without warning. OK, that’s about it. 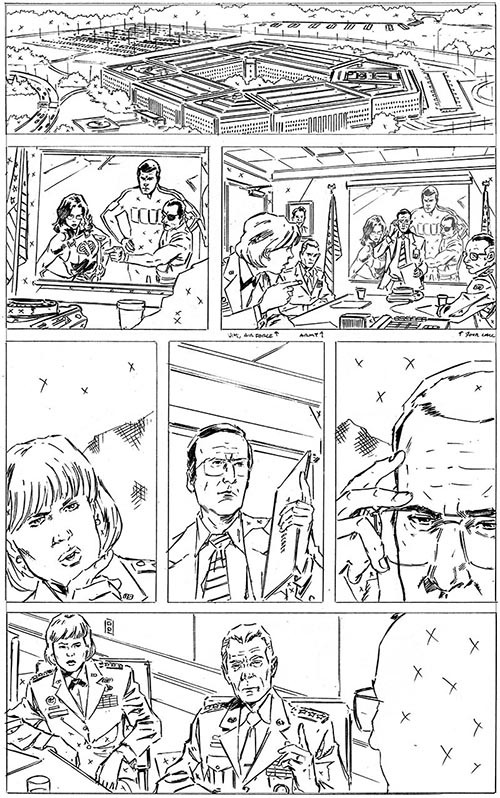 I’ll have original art from the published issues of GIJ v Bionic Man for sale at the show, plus pages from my long run on GIJ:Real American Hero (NO covers, so don’t ask… that means you, Dan!) I still plan to set up an Ebay thing for covers, but man, I’m slow on that.